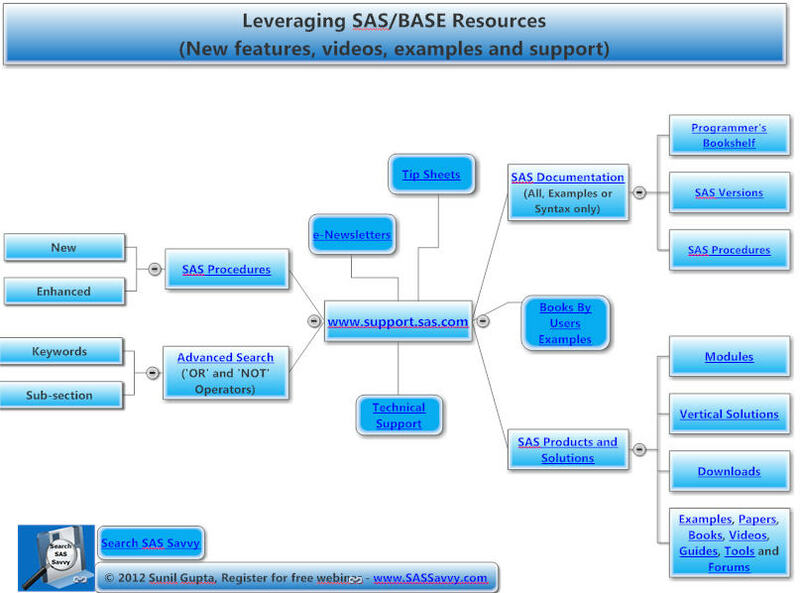 Do you have at least five favorite www.support.sas.com or SAS® paper websites you need to access on a regular basis to write better SAS® programs? 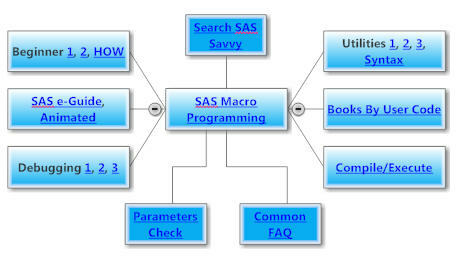 Instead of using a linear list of bookmarks, why not access your favorite SAS® websites in an organized and structuted way to better leverage SAS® resources. 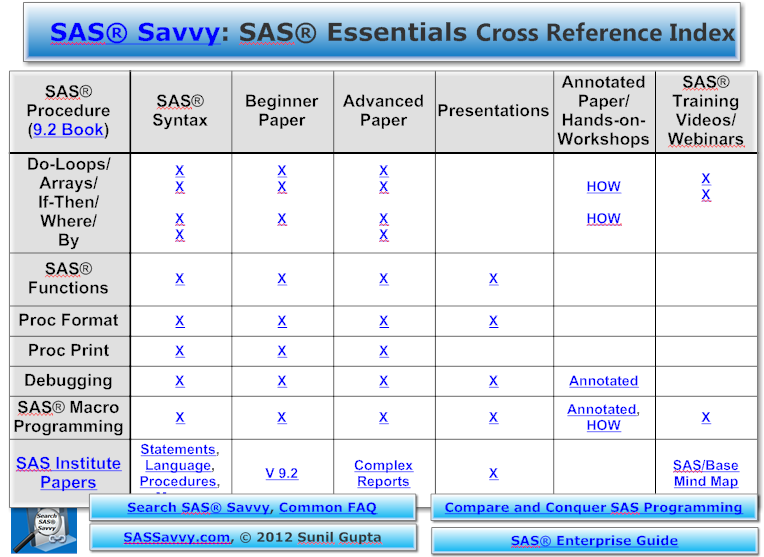 SAS® Savvy has over 1,000 best references on SAS® Procedures and SAS® Topics. 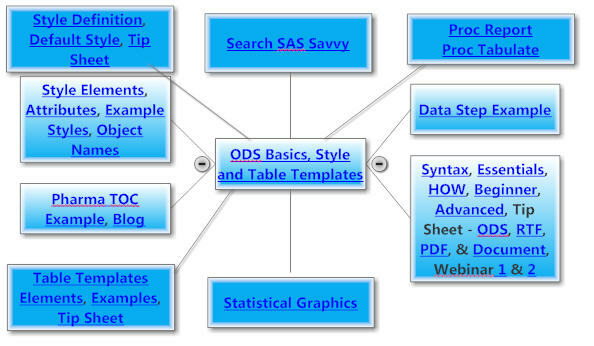 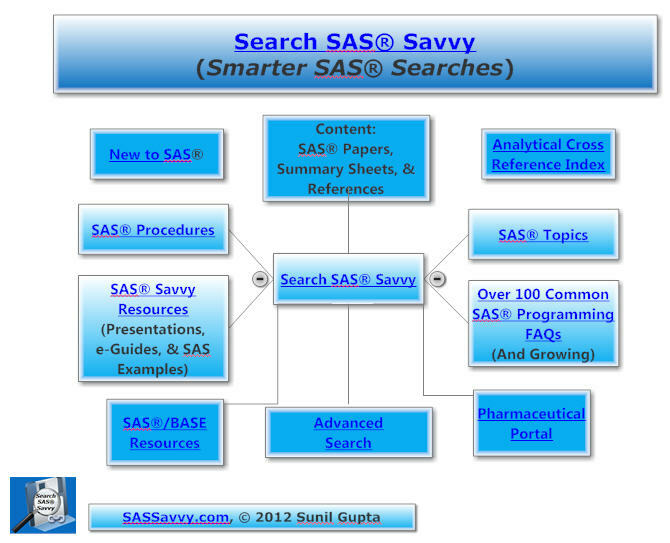 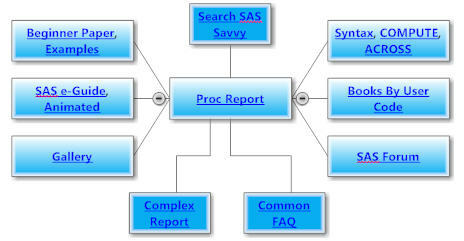 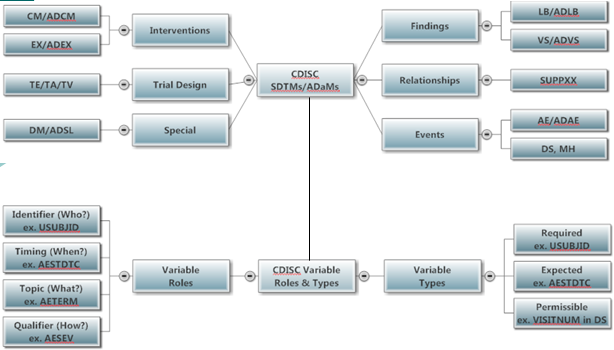 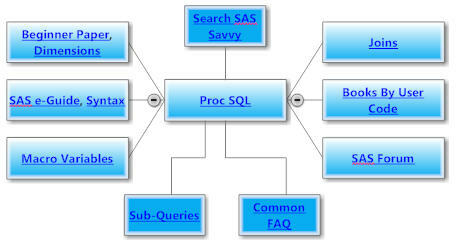 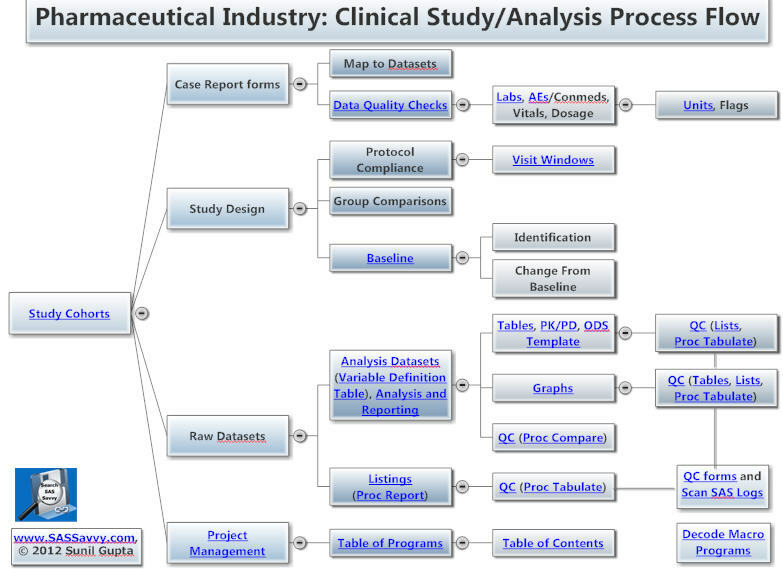 Below is a collection of 20 site maps for easy navigation to SAS® Savvy blog pages and other valuable resources. 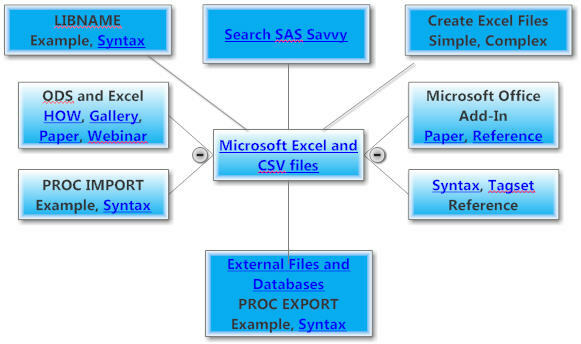 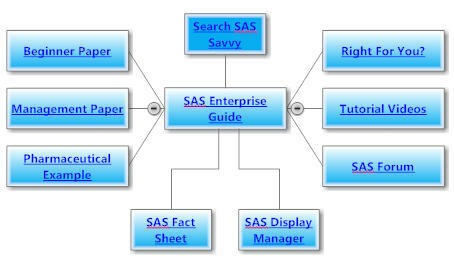 Click on any image to start SAS® Savvy site maps. 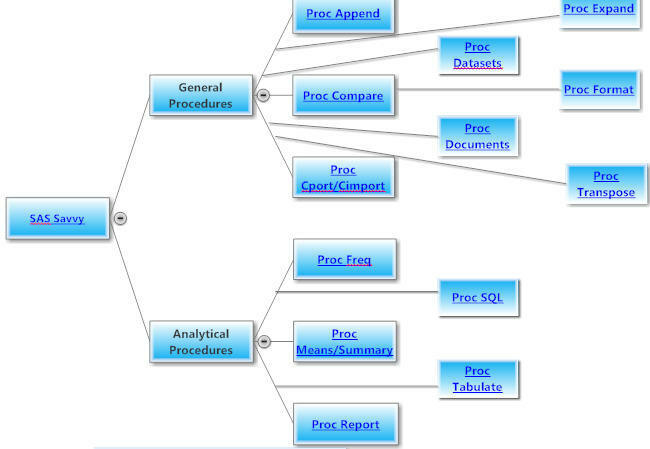 E-mail us your favorite mind map. 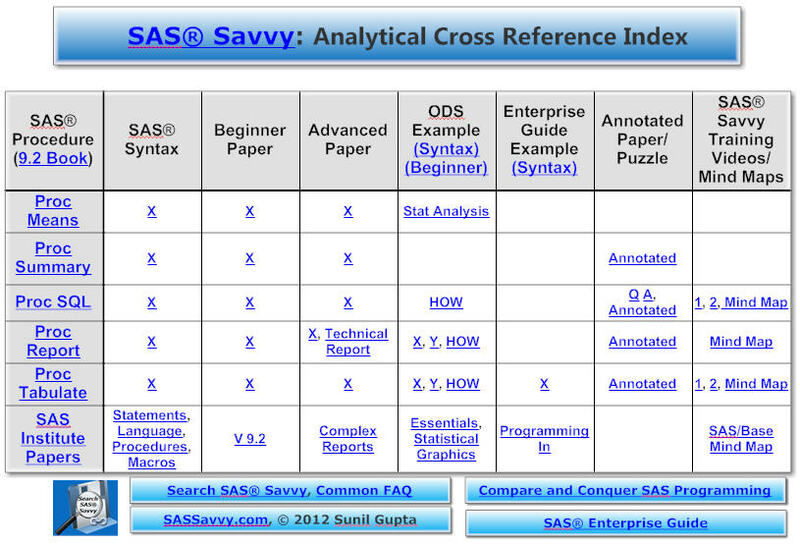 Please note that some links may be restricted to SAS® Savvy Premium members only. 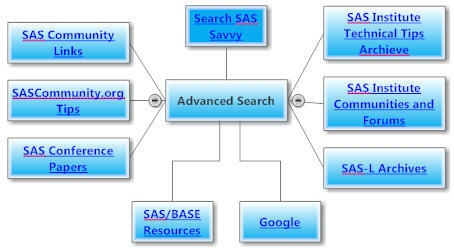 Join now to have full access. 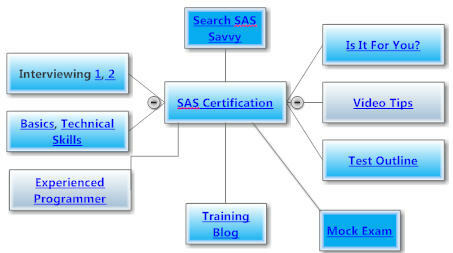 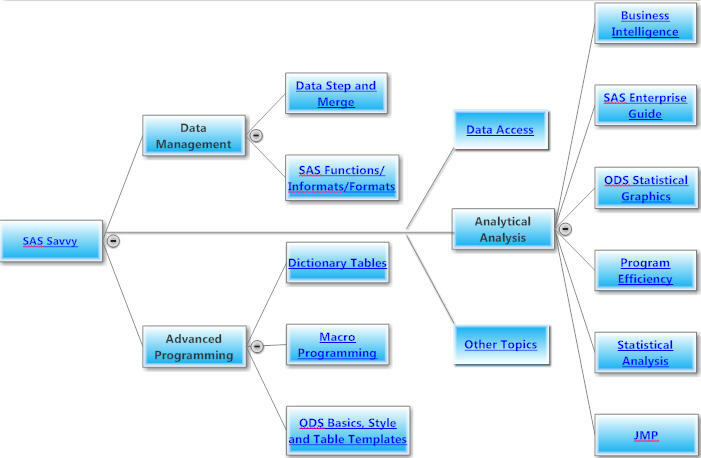 Be on the lookout for more mind maps to help you become more SAS® Savvy. 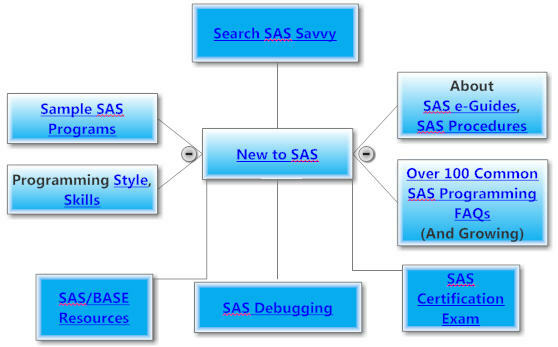 Want to share your excitement about SAS® Savvy? 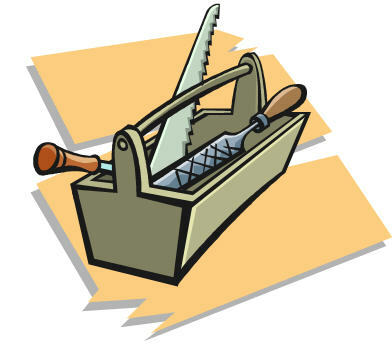 Ask us about the new Audio Clips segment.